The Lowndes County Democratic Party expresses its condolences on the death of former State Representative Jay Shaw. Jay served as Mayor of Lakeland from 1980 to 1990. He was elected as a Democrat to the Georgia House of Representatives, representing District 176 from 1994 to 2010. 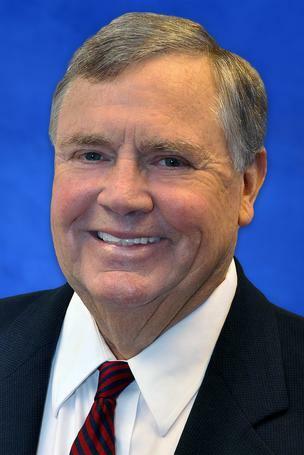 He was elected to the State Transportation Board in 2010 and served as its Chairman from 2012 to 2013. He then served as Chair of its Finance committee. Jay was a fair-minded person who always considered the public good. He was a strong supporter of meeting the state’s transportation needs. Our sincere condolences to his wife Libby, his son Jason, who succeeded his father in the Georgia House of Representatives, and other members of his family. This entry was posted in Elections, Transportation and tagged Chair, Department of Transporation, Elections, GDOT, Georgia, Jay Shaw, John S. Quarterman, Lakeland, LCDP, Lowndes County, Lowndes County Democratic Party, Tom Hochschild, transportation, Valdosta on May 3, 2015 by John Quarterman.